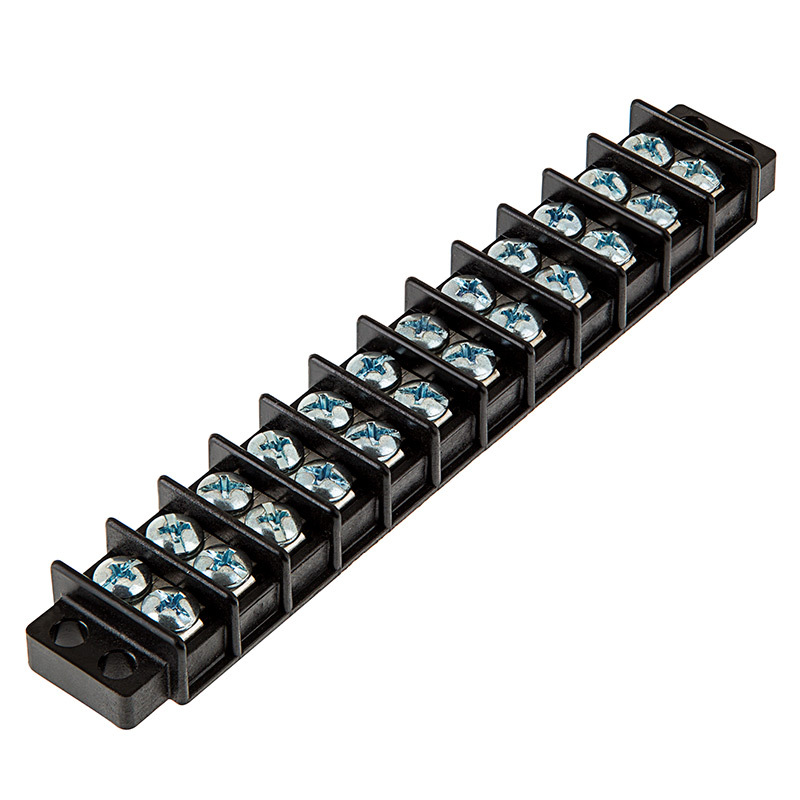 12 Position Barrier Terminal Block - 14-22 AWG: Typical RGB Setup- Red, Green, Blue, White, & Ground Linked Via Terminal Block Jumper with Positive and Negative Power Wires on the Left. 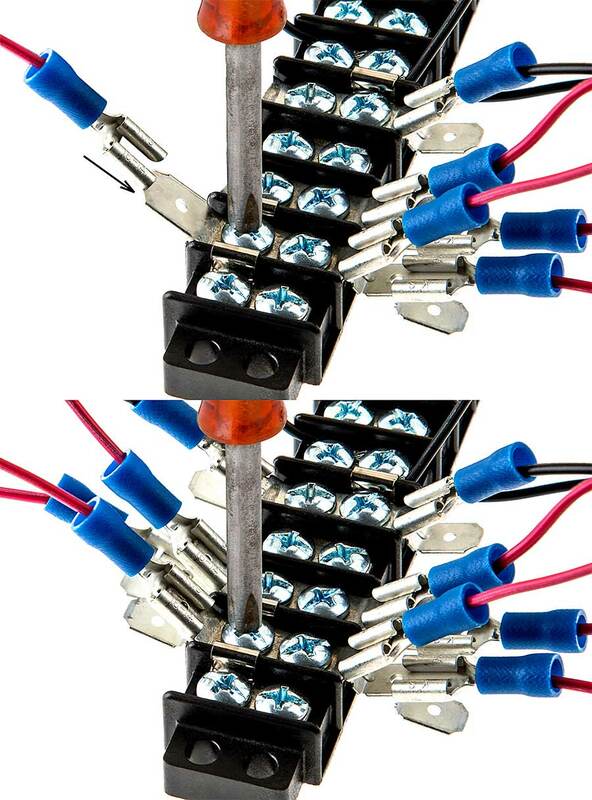 20 Amp Terminal Block Jumper - 30 Amp Terminal Blocks: Shown With Jumper Installed (Sold Separately). 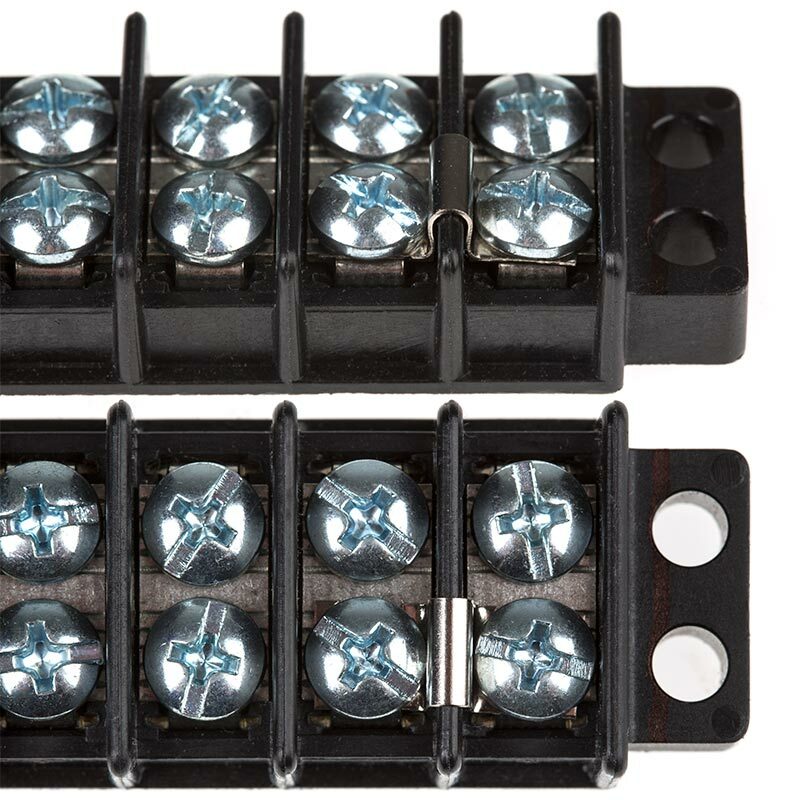 Use this double-row barrier terminal block to connect multiple lights and accessories to the same circuit and eliminate wire splicing. 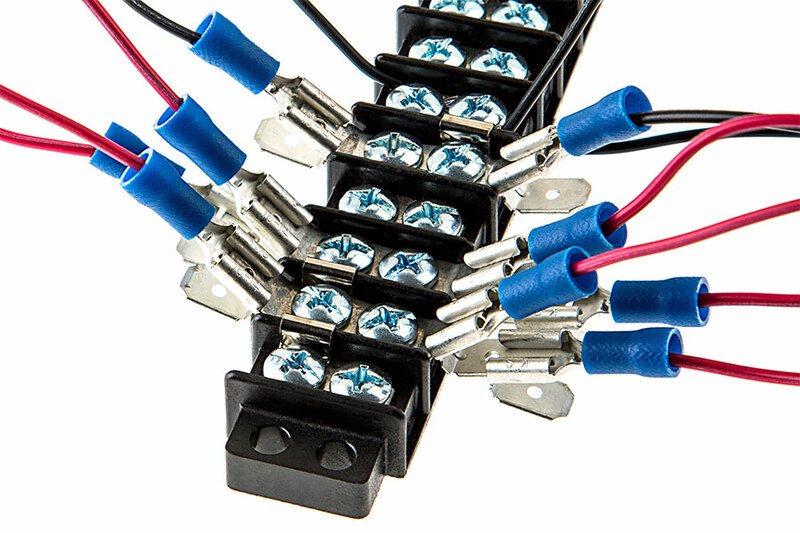 The 30-amp, 300-volt terminal strip has 12 terminal positions that accept 14-22 AWG wires. Zinc plated steel #6-32 Phillips/slotted screws and tin plated brass terminals provide a corrosion-resistant connection. 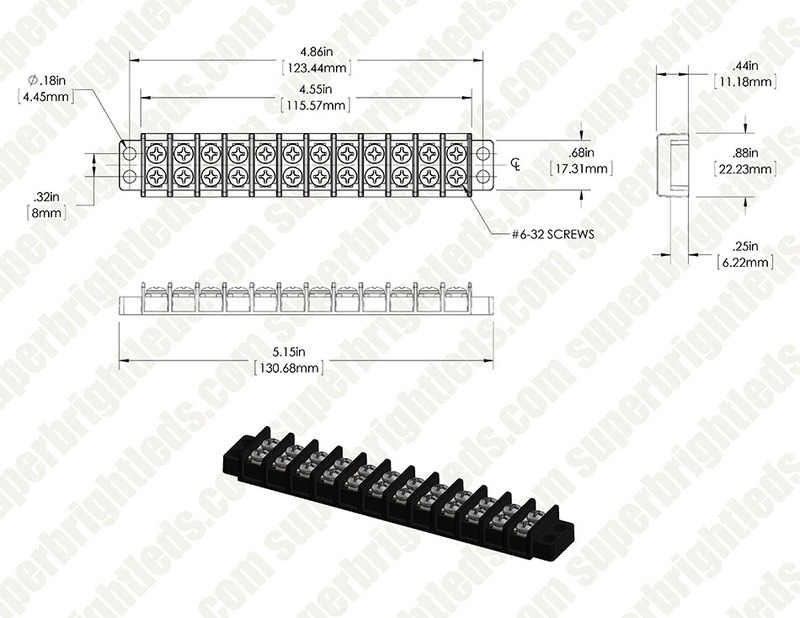 The terminal strip can be easily mounted with #6 screws. When used together, push-on tabs, push-on terminal adapters, terminal block jumpers, and the 12-Position Barrier Terminal Block can be used to achieve a maximum amount of wiring options in minimal space. 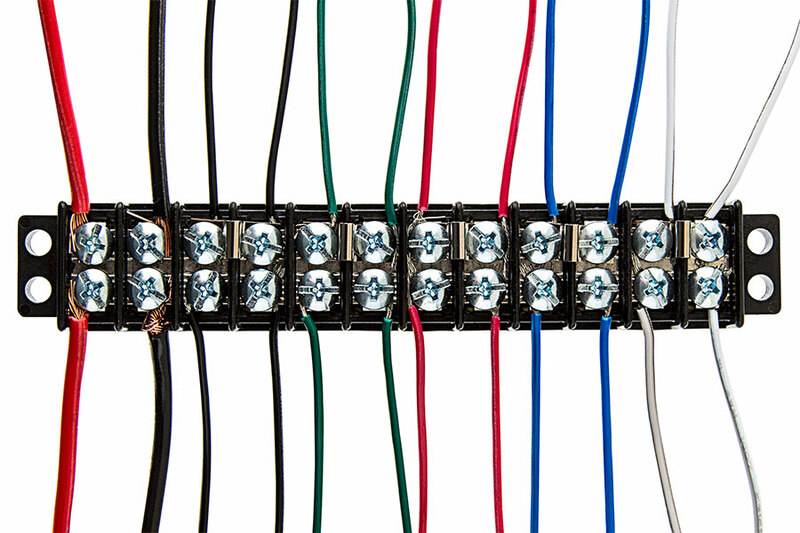 Connect terminals, and build your own high-density wiring circuit to power multiple lights or accessories.